A landmark occasion in electric car desirability and performance was celebrated in Geneva on Monday night (4th March) when Michael Perschke, Automobili Pininfarina CEO, Anand Mahindra, Mahindra Group Chairman and Paolo Pininfarina, Pininfarina SpA Chairman, unveiled the Pininfarina-designed pure-electric luxury hyper GT Battista at a gala VIP event on the eve of the Geneva International Motor Show. Michael Perschke, CEO, Automobili Pininfarina, said: "The Battista represents a beautiful dream for us all. In just 12 months we have set up an amazing new electric car brand that delivers on the Pininfarina-family dream to see a luxury car solely badged Pininfarina. The best possible technical partners have joined us on this journey to develop the Battista with zero emissions and more power than is possible from an internal combustion engine. The Battista represents purity, beauty and rarity, and a vision for sustainability that appeals to the heart as much as the head. It will be the most powerful car ever designed and built in Italy and will make you fall in love with electric power." 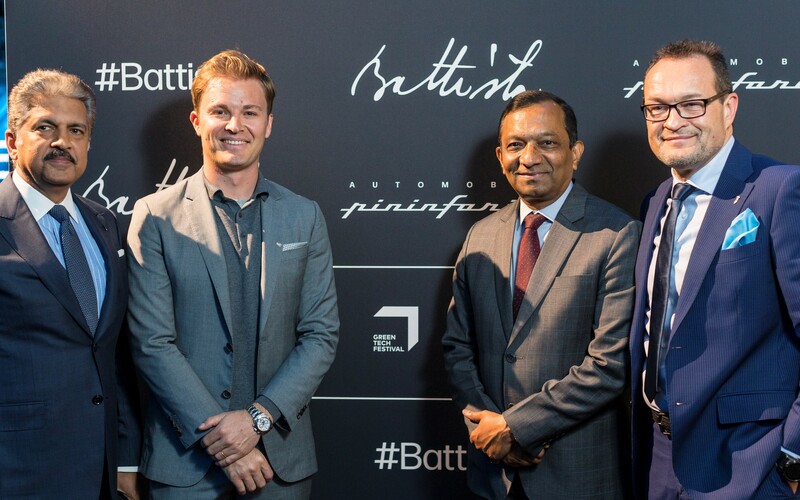 In celebration of the Battista's electric performance and the spotlight it shines on automotive sustainability, its reveal was shared by Nico Rosberg, the 2016 FIA Formula 1 World Champion, and the presentation of a Mahindra Racing Formula E car with bespoke Battista livery. The Battista will set new performance landmarks for a road-legal car and forms the core of Automobili Pininfarina's sustainable automotive strategy that will be strengthened at Rosberg's GREENTECH FESTIVAL in Berlin in May. Automobili Pininfarina has been invited to host the Battista's German launch at the 2019 GREENTECH FESTIVAL and celebrate a mutual ambition between the two organisations to promote the rapid development of green technologies, accelerate a positive change in car ownership and excite people about electric motoring. The Battista encompasses a vision of beauty and sustainability, delivering 1,900 hp and zero emissions in classic Pininfarina style, where form and function are elegantly combined in a beautiful carbon body. The Battista is the first electric car to truly fall in love with. Following on from their unveiling last night, 4th March, the three all-electric Battistas received their public world premieres on the Automobili Pininfarina and Pininfarina SpA stands at the Geneva International Motor Show, which runs from 5th March to 17th March. Automobili Pininfarina presented the Battista in three distinct and elegant design specifications and colours: a Blu Iconica Battista featuring the Iconica by Automobili Pininfarina design pack; a Grigio Luserna satin grey car with satin blue accents and anodized aluminium detailing; and a third Battista in a pure pearlescent white called Bianco Sestriere. In describing the three Battistas, Design Director Luca Borgogno underlined a unified purity of purpose for the car: to be the world's most desirable electric car. Demonstrating Automobili Pininfarina's desire to produce the world's most sought-after all-electric hypercar, the Munich-based company also announced an exciting addition to its engineering team. Rene Wollman has joined Automobili Pininfarina as Programme Director, Sportscars. Wollmann brings a wealth of experience to the Battista programme having most recently managed the launch of possibly the most extreme motorsport-inspired road car ever, the AMG ONE hypercar. Wollmann takes his place alongside an enviable line-up of experts excited by the challenge to launch the Battista, including Test and Development Driver Nick Heidfeld, Chief Technical Officer Christian Jung and Senior Technical Advisor Peter Tutzer. 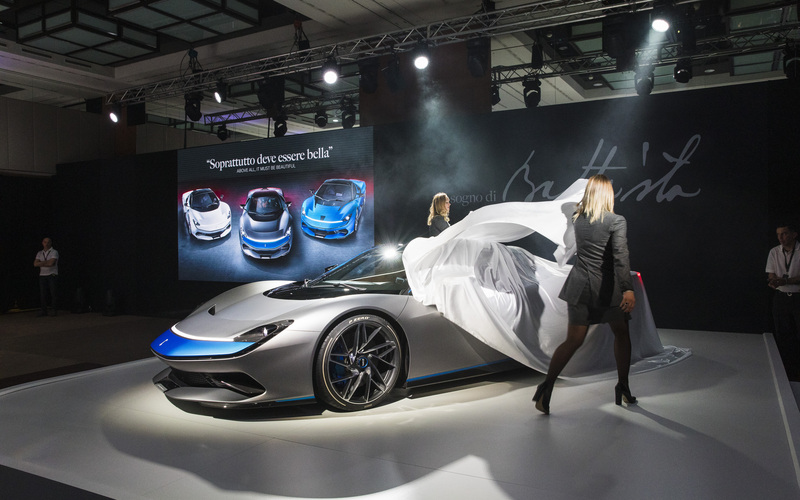 The Battista reveal was accompanied by Automobili Pininfarina's closest collaborators, Pininfarina SpA, Mahindra Racing, Rimac Automobili and Pirelli SpA. - Pininfarina SpA has designed the Battista and will hand-build the luxury hyper GT in Italy at its famous Cambiano headquarters, with the first Battista arriving during the Carrozzeria's 90th anniversary. - Mahindra Racing currently leads the Formula E Team and Drivers' Championships and has contributed vital engineering expertise in electric performance generated over five years in Formula E.
- Rimac Automobili will adapt its world-beating battery technology to the demands and desires of the connoisseurs and collectors who will take ownership of the Battista. - Pirelli SpA is developing a tyre programme to ensure the Battista's full power can be appreciated as much as its Pininfarina design, with the Battista show cars featuring bespoke Pirelli 21-inch tyres on dramatic new unique rims. In hosting the powertrain of the future in an elegant yet functionally efficient carbon fibre body and chassis featuring double wishbone coil over suspension, the Battista will shatter traditional performance targets set by machinery powered by any internal combustion engine. Yet it will do this with a focus on luxury and drivability that offers a targeted 450-kilometre range and a level of comfort and connectivity that will tempt owners to take to the roads more than the track. 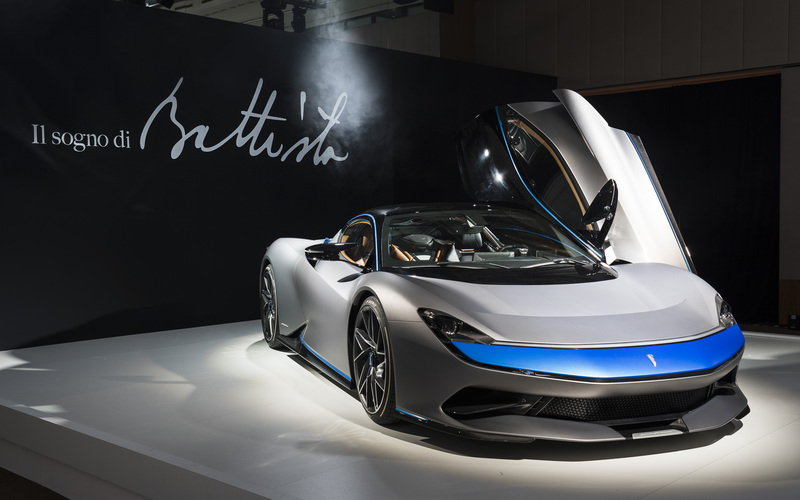 In redefining electric vehicle dynamics in a Pininfarina-badged car, the Battista has the distinct potential to become an instant collector's item, particularly as no more than 150 will ever be built, all delivered to their owners through a global network of the world's most respected luxury and performance car retailers. Automobili Pininfarina is based in operational headquarters in Munich, Germany, with a team of experienced automotive executives from luxury and premium car brands. Designed, developed and produced in Germany and Italy, all models will be sold and serviced in all major global markets under the brand name Pininfarina. The new company aims to be the most sustainable luxury car brand in the world. The company is a 100 per cent Mahindra & Mahindra Ltd investment and has been named Automobili Pininfarina following the signing of a trademark licence agreement between Pininfarina SpA and Mahindra & Mahindra Ltd. Pininfarina SpA will take an influential role in supporting design and production capacities based on their unique almost 90-year experience of producing many of the world's most iconic cars. 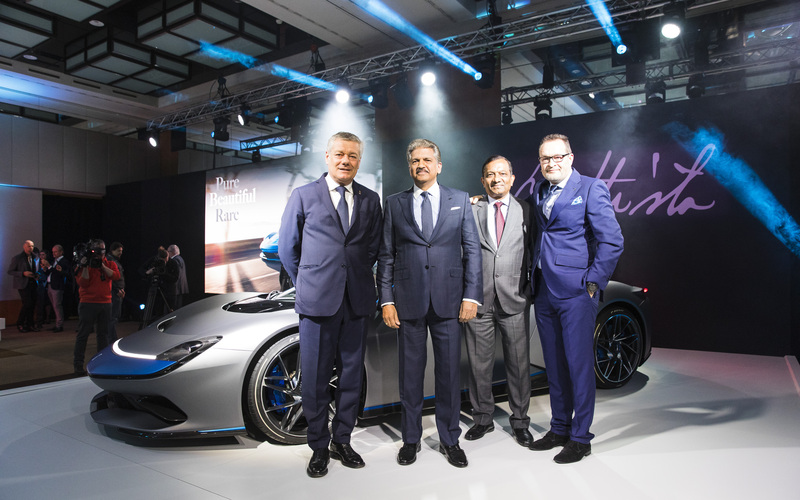 Anand Mahindra, Chairman, Mahindra & Mahindra, Paolo Pininfarina, Chairman of Pininfarina SpA, and Dr. Pawan Goenka, Chairman, Mahindra Racing, launched the new car brand with Michael Perschke, CEO, Automobili Pininfarina at the Rome Formula E race on 13th April 2018. Mahindra has quickly built up experience of cutting-edge 'race-to-road' sustainable high-performance technological innovation having competed in every Formula E race since the world's most innovative motor racing series began in 2013. Automobili Pininfarina will combine this 'in-house' expertise in partnership with some of the world's leading automotive design and engineering suppliers to support its aggressive targets for performance and market launch in late 2020.